7 Things You Should Know About The Google Pixel 3 Devices. So the new Pixel's are out and let me say that Google has trolled us hard with their last tweet before the event, conveying did YouTubers knew everything? So after the most significant leak of all time, the new Pixel 3 and Pixel 3 XL is finally out and more than it hurts to see that Jaw-drop of a Notch, it seems at least for this year, we just got to accept it. So instead of covering the launch & specs, we thought of bringing you the best 7 things that you should know regarding the new Pixel 3 devices. Google Lens is a feature that allows you to find, interact and surf things better by just pointing your camera and letting Google's AI do its work. If you have never used this, you can now use it by downloading the Google Lens standalone app from the Play Store. Also as a tip, if your device is on Android Oreo and above, the Google Lens feature can be found integrated within the Google Assistant. Fire up your Google Assistant, and you can see the Google Lens logo on the lower left corner. Now for Pixel 3 devices, the Google Lens feature has been enhanced to the core. The Google Lens feature can easily recognise Web URLs, E-Mail IDs, Phone Numbers, Local Addresses and QR Codes in real time just by pointing your camera towards it, while you're using this feature. This feature doesn't even require you to have an active internet connection, so in a hurry, this might be your time saviour. All you have to do is point your camera to the subject, long press and hold on the object while you're in the viewfinder, then you can do things such as identify objects, plants, animals, copy text in real-time & search for the items that you've discovered via the camera lens. That is exquisite, and my most favourite part is the copy text option. Are you kidding me, copying text from the viewfinder? That's some nerdy thing. We all know that when it comes to smartphone photography, nothing comes nearby a Pixel smartphone. The Google Pixel 2 was already the benchmark in this category, now with the announcement of Pixel 3, that gets elevated to the extreme. Top Shot & Night Sight mode announced with the new Pixel 3 are so astounding. Top Shot: With the help of this feature, the user can stay at ease by never missing that point precision moment. As sometimes when we click a photo in an urgent moment, it's often.. that we blink. Whereas as that moment is gone we cannot retake that shot, but not with the new Top Shot feature. Due to the addition of this feature, Google's AI automatically takes few shots after and before you pressed the shutter button. Now you can revisit a clicked photo under photo settings and select the needed shot. Fun Fact, even here Google's AI suggests you 3-4 best shots out of the multiple shots taken by it. Night Sight: This new mode makes the photos taken under low lighting conditions - bright and sharp. They even showed a comparison with iPhone XS Max and Pixel 3 using this mode, as expected the shot on the Pixel 3 was miles better. However, this mode will be soon available on the Pixel 3 via a software update. With the help of a Dual Wide angle lens and Google's sorcery with image processing, the new Pixel 3 devices will be able to take Group selfies like never before. Precisely about 184% perfect more field of view than the usual selfie camera lens, as quoted by Google. You can even shoot RAW photos now and later on play with your favourite photo editing app to extract details from the shot. All of this is again coupled with Google's unlimited Photos storage for free until 1/31/2022. Call Screen Feature: This was probably the mode that blew everyone's mind as it was an extension of the Google Duplex AI, the weird call conversation that Google had showcased us during the Google IO 2018. Call Screen is a feature in which when the user receives a regular phone call he gets the option to either pick it up or else select Screen Call. When you select Screen Call, the Google AI speaks with the person on behalf of you getting the relevant questions as to who had called and what was the reason? You get to see the entire call conversation in real time on your phone's screen in a chat format. So that, if you feel that the person trying to call you is essential of any kind, then you have an option to pick up the call right away. This feature would be very much helpful for avoiding the useless telemarketing calls and maybe ignoring that less important person at ease. Although I'm now worried about the people, who are in relationships because that's going to hit hard. You will now receive a snapshot of your day with things such as reminders, calendar events, traffic alerts, weather information etc. whenever you fire up your Google Assistant. Note: Recently many new features have been introduced in Google Assistant, we have covered them in a separate post here. So Playground is a new camera mode announced in the Pixel 3 devices, which is kind of similar to the AR Stickers mode currently present. However now you can interact with the Objects present in the Augmented World, so let's say if you're in a sad mood, the characters you choose will display similar behaviour. It's essentially predicted by the AI depending upon your facial expressions. You can use the Playground mode to either click photos or shoot videos. Depending upon your background scenario, this mode will automatically suggest you captions and provide smart suggestions to amp up your shot. Soon more characters will be included from the Marvel cinematic universe and with subjects like Sports, Weather, Signs etc. This mode will be soon available to all older Pixel devices in the coming months. 5. Using Google Assistant while your phone is docked-in. 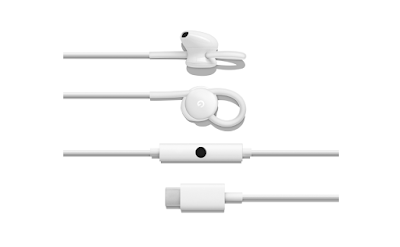 Along with the new Pixels, Google also announced an additional accessory, the Pixel Stand for the Pixel 3 devices. 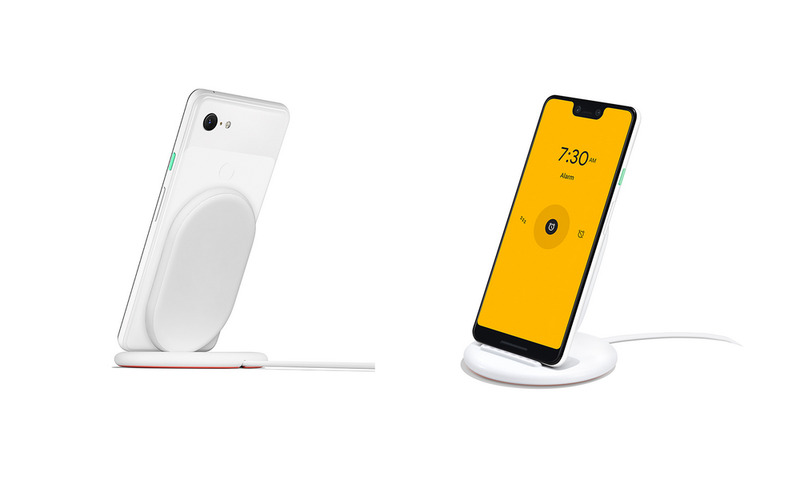 The Pixel stand is essentially a Wireless charger which with the help of software helps the Pixel 3 devices to act as a nightstand where in your Google Assistant can be triggered with your voice. You can also select the Google Assistant logo on the screen to trigger it. Here when you set the alarm and let's say it gets triggered in the morning, the Alarm will wake you up with warm sunrise colours by slowly brightening the screen before turning off. It also provides the novelty of displaying pictures from your favourite albums on your phone while it's getting charged and is docked on the Pixel Stand. Digital wellbeing has been announced with the launch of Android 9 Pie; however, it wasn't available to the masses due to the beta phase. However, with the new Pixels, that's not the case. Digital wellbeing is a place present under settings, wherein the AI will show you how frequently you're using the phone and on which apps are you consuming most of your time. All this data will be presented to you in a dashboard view. Now you can keep your phone face down to turn on Do Not Disturb, and with the help of this, it'll trigger the new Shh mode. In this mode, your phone will ignore all the notifications. You can also set timers on how much time you wish to use a specific app, upon which you will receive a pop-up after the timer goes off. The Wind Down mode will automatically trigger up turning the screen grey after you have used the phone for a certain period. The new Pixel 3 devices get a dedicated Titan M chipset that adds security features and which keeps track of all the sensitive data that's present on the phone. This new custom chipset adds a security layer by safeguarding your lock screen and strengthening disk encryption. It also takes care of the vulnerable threats coming to the operating system and helps the critical transactions happening on your devices under security. 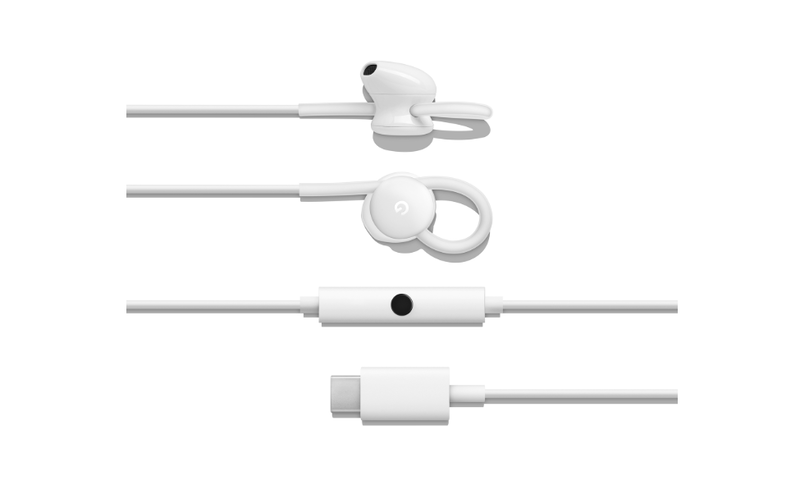 Google Pixel 3 devices also come with Type-C earphones which is pre-included in the box, though without using it it's hard to provide any verdict on it. Pixel 3 and 3XL are currently available for pre-booking on Flipkart and would be open to buy from 31st October. Anyways, we hope that you enjoyed reading the top 7 things we have brought up regarding the new Pixel 3 devices. If you did, share it on twitter and let us know if we have missed any. Image Courtesy: Press Release & Google(global).